Whether you are a military or civilian helicopter pilot, your training counts at CommutAir. 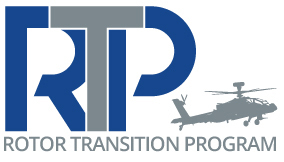 Since many rotor pilots do not meet the FAA ATP or R-ATP minimums, CommutAir will financially assist you with up to $22,100 in making the transition from flying helicopters to soaring in commercial jets with ease. 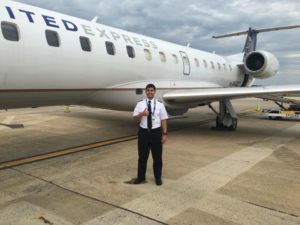 As an airline pilot with CommutAir, you will be on the fast track to a United Airlines flight deck through our United Career Path Program. The CommutAir Rotor Transition Program, along with the grants available to you, is designed to fund your fixed wing career. With the CommutAir difference, you can choose YOUR local flight school or flying club with 6 months to complete your ATP or R-ATP requirements. This will allow you to build your future while completing your military obligations or current civilian position! Complete an application at Airline Apps. Please make sure that you check “Rotor Transition Program (RTP)” on the “Affiliation” section of the application. CommutAir will invite you to interview, after a review of your application. After a successful interview, we will work with you to customize a training plan and timeline, that clearly outlines expectations and requirements with as little as 45 hours per month of flying. CommutAir will provide up to $22,100 toward your fixed wing transition training. Evaluating switching to the airlines? Navigating your options? 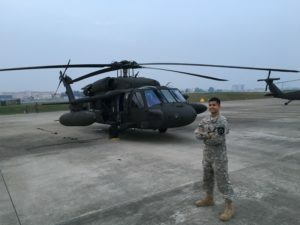 Click to read our Q&A with former UH-60L Pilot and now CommutAir First Officer, Christopher Golab, for an inside look at our Rotor Transition Program!